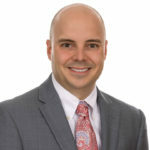 Litigation attorney, Michael S. Rainey, has been appointed to the Raleigh Board of Adjustment, a quasi-judicial body which acts on appeals for variances, special exceptions and interpretations in the zoning regulations. Its decisions are final but may be subject to court action. The Board consists of eight members. Rainey will serve a two-year term. Rainey focuses his practice on the field of complex civil litigation where he defends trucking and transportation, product liability, premises liability, and insurance defense cases. He also represents landowners and condemning authorities in condemnation/eminent domain cases.